Varieties 100% feminized Dispensario Seeds are the result of work done for more than 7 years by a group of farmers from different countries and latitudes, we have given our best seed and land races collected during a lifetime of travel to canabicos destinations remote, always looking for the purest possible genetic, looking for traditional medicine that has been used for thousands of generations and centuries. Genetic selection of our Auto Blueberry 4th generation. Genetically more stable, vigorous growing and productive in flowering. Big leafs, very indica. Fast flowering plant. Buds hard like rock covered in a very aromatic resin, citric and sweet with blueberry fruit note. Genetic selection of our Auto C+ 4th generation. Genetically more stable, vigorous and productive. The resin has a fruity and sweet fragrance, very addictive. Don't like transplants. Love big pots and as many as possible hours of light, 20 hours for super yield. Genetic selection of our Auto Bubble gum 4th generation. 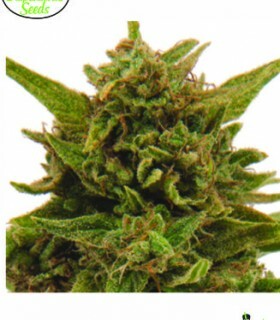 We choose this plant because the yield levels but also because of the quality of the resin. An old school classic converted into automatic. Genetic selection of our Auto Northern Lights 4th generation coming from original strains. Genetically more stable, vigorous and productive. The biggest and most productive automatic plant ever seen. Strong and resistant. Genetic selection of our NYC Diesel x Lowryder#2. Our Auto Island Diesel offers a fast growing but strong, big branching. Plant is very resistant to mold and fungus, a l s o t o h i g h h u m i d i t y conditions. In flowering mind the odour!! Big central bud full of resin. Very productive plant. Genetic selection of Auto Hashplant. A classic of the cannabis strains in Automatic. The Auto Hashplant is a strong plant with heavy branches, very resistant to pest and disease. Very wild growing. Stunning flowering. Big yields. We have crossed our green crack, sativa dominance hybrid, with the CBD Tsunami polen supplied by our colleague Dr. Paul Hornby, Vancouver, Canada. After a selection on the regular seeds we choose this phenotype because of many reasons, heavy yield, heavy buds, resin amount and quality, sweet fragrance and stunning smoke. High CBD content. Island Eisbaer comes from a cross of a very potent parent lines, The white x Snowdowg BX male. We offer now this feminised strain. Very popular in North america dispensaries scene because of the resin quality reputation. One of the highest in THC and other cannabinoids content. Genetic selection of Critical + x CBD Tsunami. We have chosen this plant because of its taste and fast production. Buds full of resin. Use hangers to ensure that the branches can hold the weight of the flowers. Ideal for both expert and beginners growers. One of the sweetest varieties on the market. Genetic selection of Blueberry x CBD Tsunami. All the taste of the Blueberry but in 55 days! This plant has few leaves but its huge and resin covered flowers, buds and leaves have a unique and exceptional flavor. Big central bud hard as a rock! If provided with a cold environment at the end of blooming it will acquire purple tones. Ideal for extractions. Genetic selection of UK Cheese. Perfect plant to keep for a mother, cutting roots fast and easy. Flowers getting full of resin, buds getting hard like stones. This variety is from the 80', coming from the Skunk 1. Genetic selection of this plant from the 60's decades originally. Ideal for SCROG, strong branches and big leaves. Very wild growing, needs space to develop nice flowers. Short internodes space. We genetically selected this plant AMNESIA LIMONADE because we fell in love with it when we tasted it for its taste, quality and size of the flowers, for the lack of leafy leaves and for its raw production. The fragrance of lemon and incense is very penetrating and leaves no one indifferent. He won first prize in the 2004 Cannabis Cup. Genetic selection of White Widow x CBD Tsunami. The queen of the Dutch coffee shops for ages, as well as cup winner worldwide for the past decade. An ideal mother plant, as the cuttings root easily. Hard and round buds. This is one of the most productive and resinous strain on the market. Genetic selection of Ak47 X CBD Tsunami. One of the most hard, tough and productive plant. Worldwide cup winner for decades. An ideal mother plant, cuttings root very easy and strong. 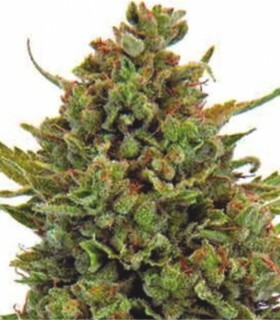 This plant provides genuine buds, old school cannabis, hard as stones and covered in resin. 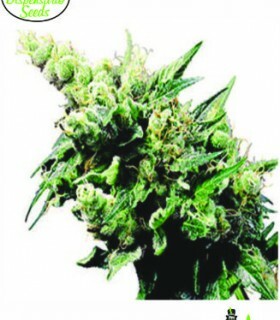 After stabilizing our crosses and select the best mothers we offer this catalog of varieties of medicinal cannabis seeds feminized 100%. With all warranty and product quality, packaging, germination, stability, homogeneity, productivity. Today we cooperate in various studies on alternative medical therapies, doctors and professionals providing our best genetic varieties of cannabis developed exclusively for its high content of CBD. This cannabinoid is being intensively studied by scientific and currently communities worldwide pharmaceutical, medical. 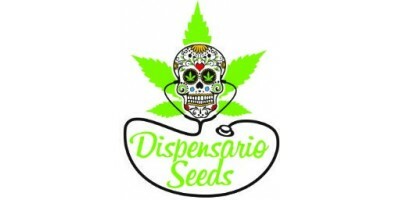 Seeds dispensary dispensary feminized cannabis seeds 100% medicinal.